This cute little guy resides on the sleeping hood of a mei tai, requested by my friend Hilary. 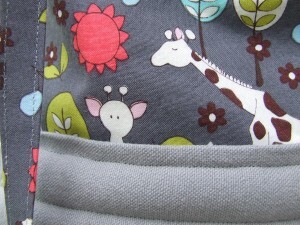 The main print is Michael Miller giraffe garden gray and the sleeping hood and reverse of the carrier are a white with little silver pinstripes. The silver pinstripes look great with the gray canvas I used for the straps of this carrier. I’m a little bit in love with this little giraffe, peeking up over the waist band. 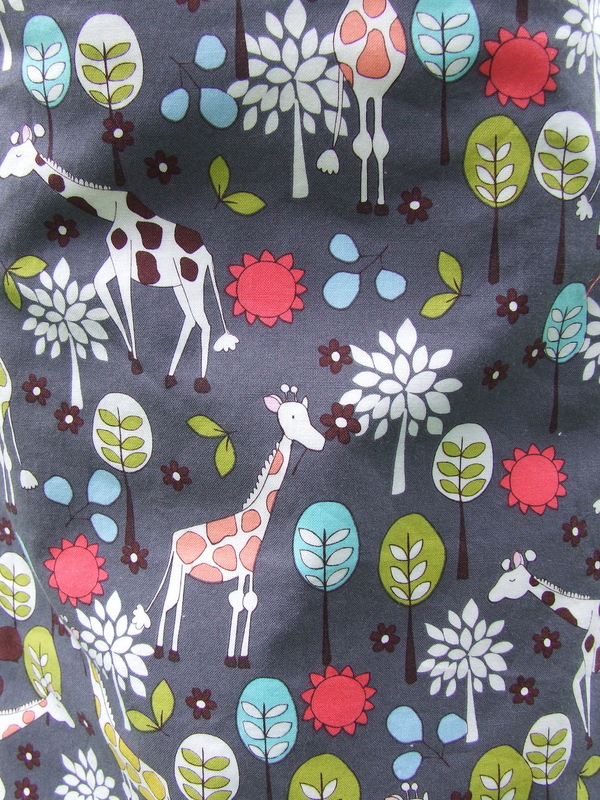 Here is a better view of the Michael Miller Giraffe Garden print. 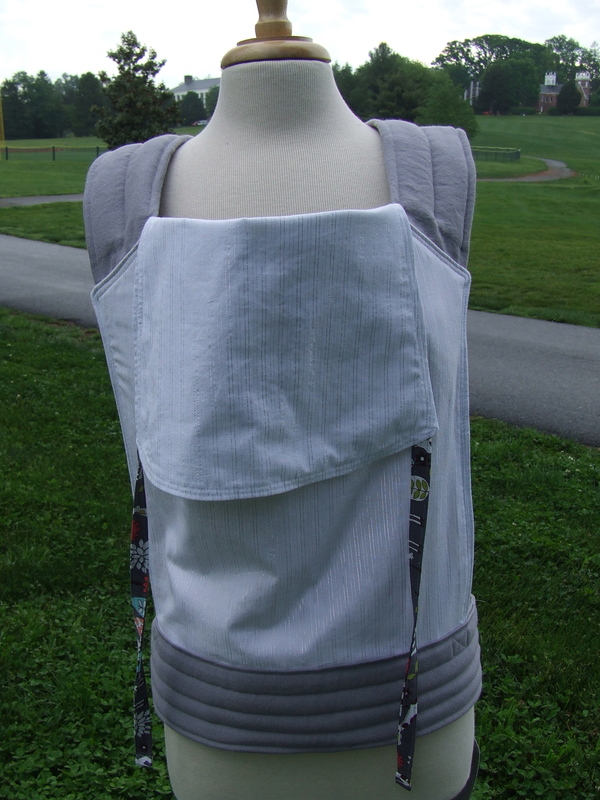 The body of the carrier has a double layer of top stitching and coordinates nicely with both the strap fabric and the pinstripes. 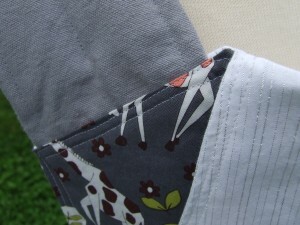 If you look closely, you can see the silver pinstripes are metallic and result in just a tiny bit of sparkle. 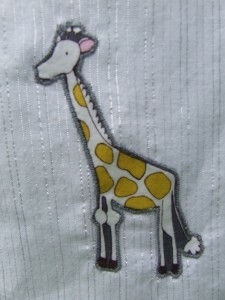 Hilary and her husband thought that all the bright colors in the giraffe print would be balanced nicely by solid white and I suggested they take a look at this pinstripe fabric, which they eventually selected. 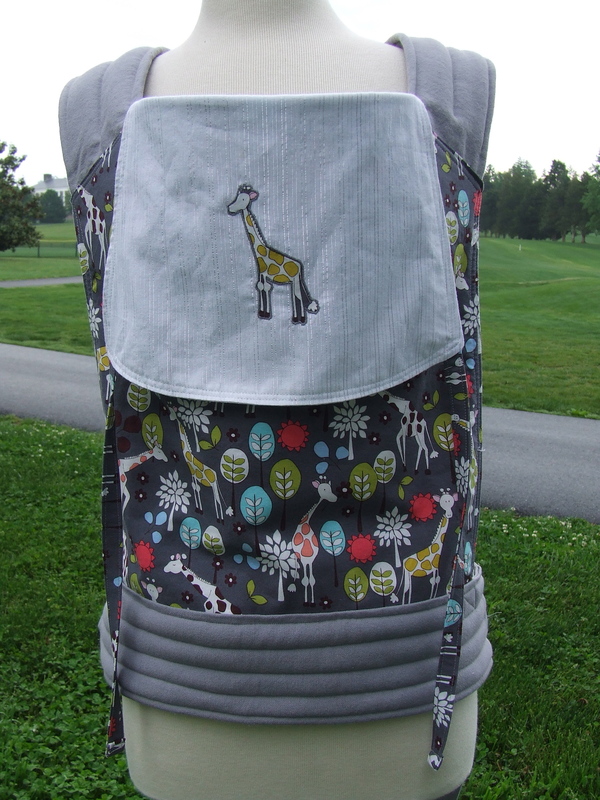 It works well on the sleeping hood and gives a slightly more formal option for carrying a little one than those darling giraffes if the situation requires. 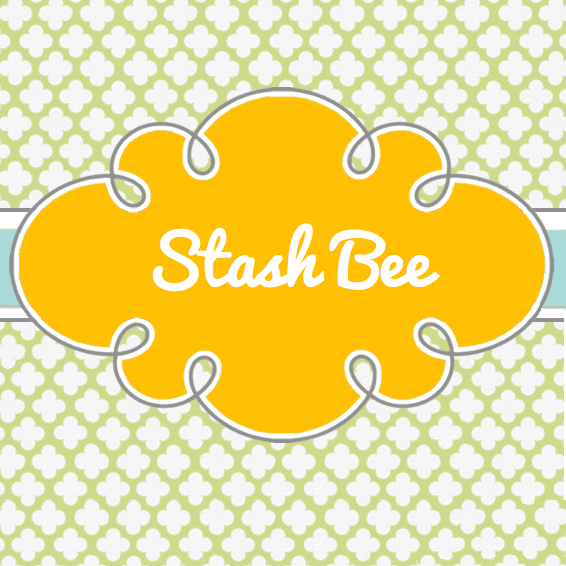 Sew and Tell Friday: Patriotic Wonky Stars So excited to share: my business cards!